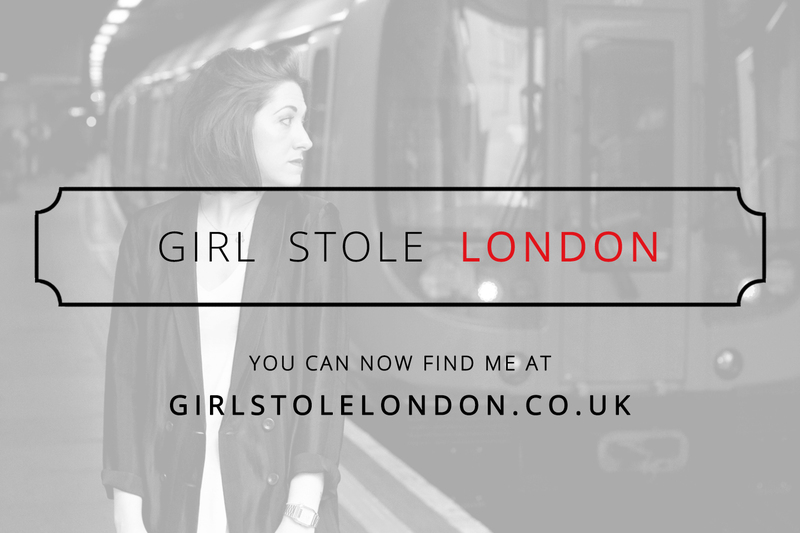 THE GIRL WHO STOLE LONDON: WHAT SHE ORDER? Other than a coconut bra or banana hammock I never thought that my two greatest loves, food and fashion, could happily co-exist. Mr Gugu & Miss Go have proved me wrong. 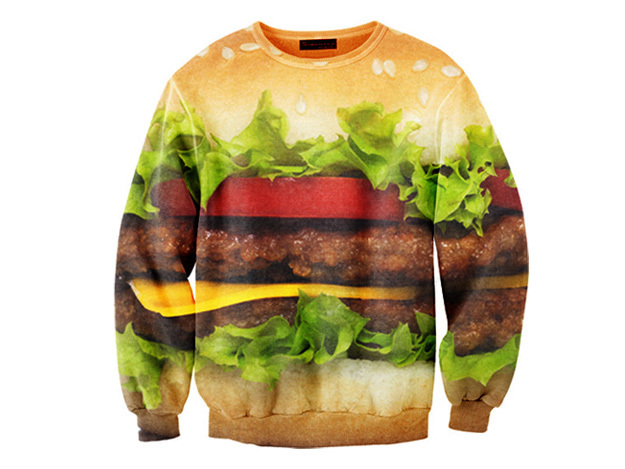 Behold dear readers a burger in jumper form. 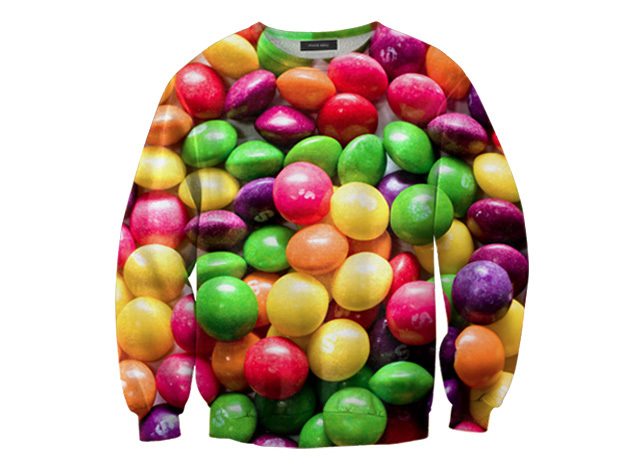 A Skittles sweater. 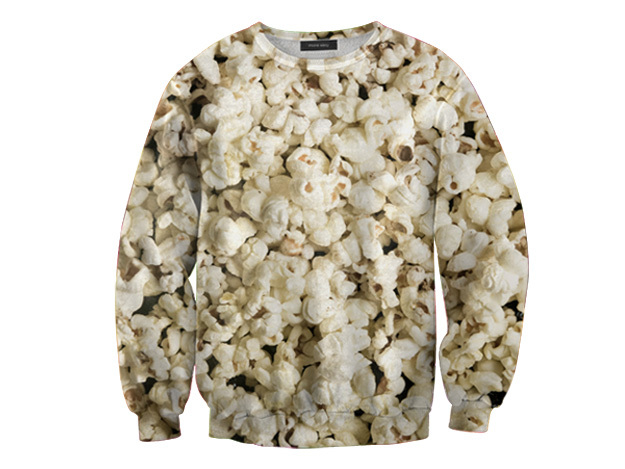 A popcorn pullover! I don't know whether to wear them or wolf them down. 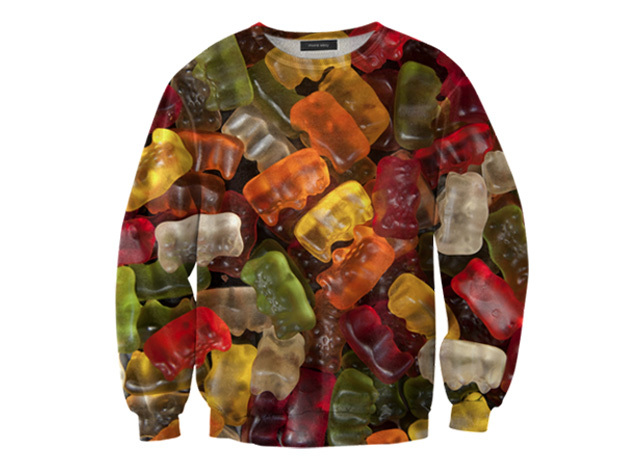 Actualising the age old adage 'you are what you eat' Polish clothing brand Mr Gugu & Miss Go have rustled up a range of lipsmaking loungewear emblazoned with popular sweet and savoury snacks. And it's not just jazzy jumpers that they've cooked up. 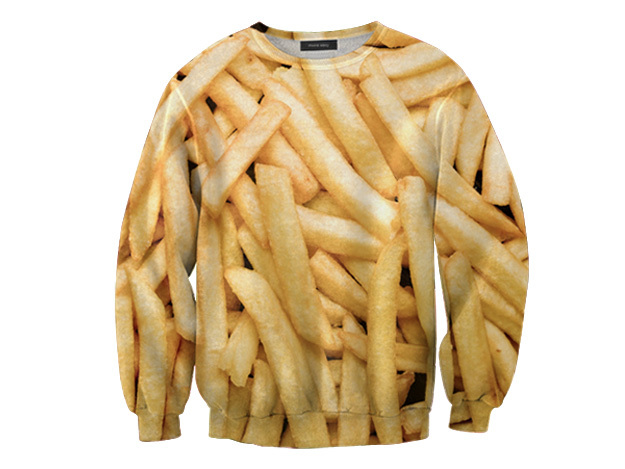 You want fries with that? Then why not add some leggings to your order. If these designs are a bit too sickly for you to stomach Miss Gugu & Miss Go have lots more on the menu. From psychedelic kitties to the Taj Mahal, pugs, drugs and my prized print of choice, the palm tree. There's something to tantalise everyones tastebuds. Could YOU polish off one of these prints?? ?